Winemaker Daniel Morgan Lee has been at it a long time. A graduate of the University of California at Davis, he launched Morgan Winery in 1982 while he was the winemaker at Durney Vineyard. This was before the Santa Lucia Highlands became an official AVA, but Daniel recognized the uniqueness of this yet to be discovered mountainside district. In 1984, he moved into his own winery in Salinas and released the first Morgan Pinot Noir in 1988. In 1996, Daniel and Donna Morgan purchased and planted a 65-acre property in the northern end of the Santa Lucia Highlands. Planting began the following year in what was named Double L Vineyard (in honor of Donna and Daniel Morgan’s two daughters). 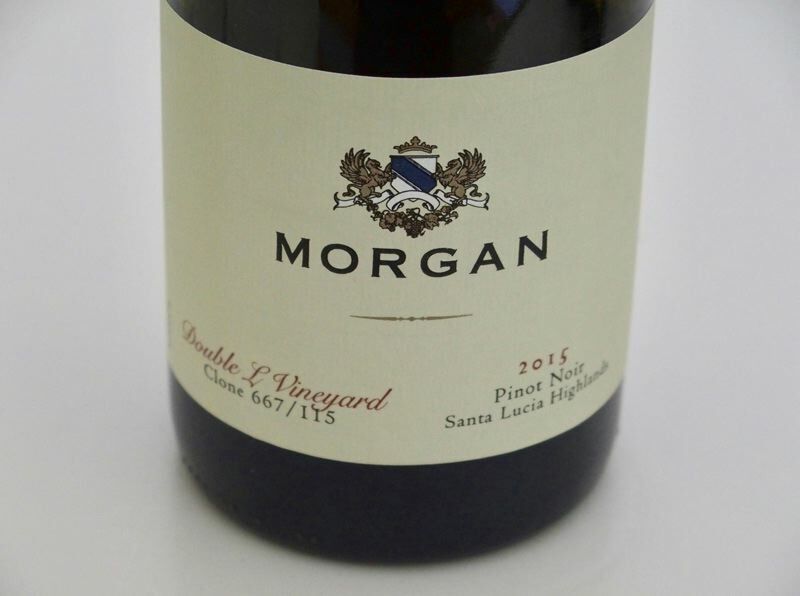 Today, Pinot Noir, Chardonnay and other varietals are produced from the 48.5-acre (28 acres of Pinot Noir), organically-farmed, estate Double L Vineyard, the core of Morgan Winery’s wine program. The vineyard is near Rosella’s and Garys’ vineyards, both of which supply grapes for a Morgan vineyard-designated bottling. A variety of Pinot Noirs are offered including multiple single vineyard wines and clonal wines, all from Santa Lucia Highlands vineyards. The wines are consistently superb and what one would expect from a veteran winemaker. I found the 2015 Pinot Noir releases to be the best wines I had every tasted from Daniel. The 2015 growing season in Santa Lucia Highlands was a continuation of the drought in California. The lower than normal rainfall totals and dry winter led to early bud break. The vineyards’ proximity to Monterey Bay (the area has a cool Region 1 type climate) mitigated the few heat events, allowing for a fairly normal, gentle, long ripening period. Yields were very low, yet fruit quality was uniformly excellent. Morgan Winery has been named “Winery of the Year” by Wine & Spirits in 1996 and the San Francisco Chronicle in 2003. The winery’s tasting room is in the Crossroads Shopping Center off Highway 1 and Rio Road in Carmel. For information and to purchase wines, visit www.morganwinery.com. I have followed the winemaking career of Kent Humphrey since 2004, a year after he produced 375 cases in his inaugural 2003 vintage. 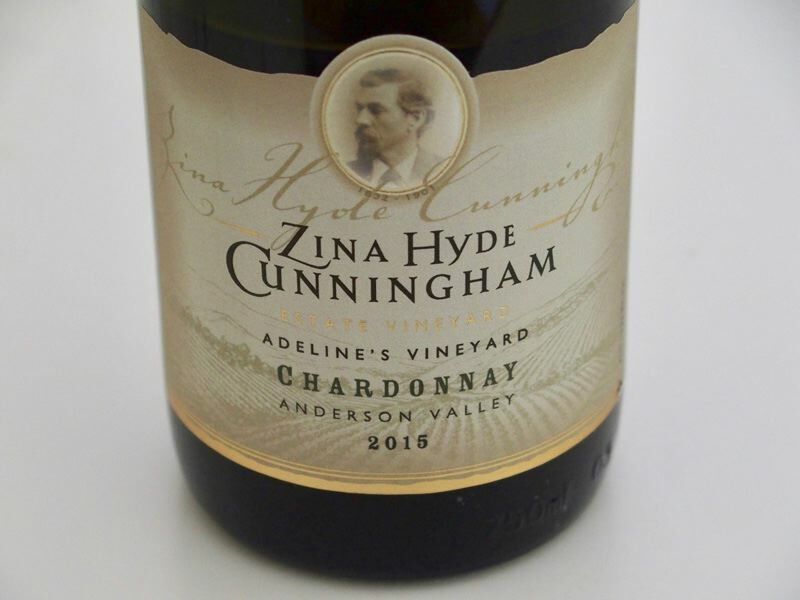 His wines, including Pinot Noir, Chardonnay and Syrah have shown significantly more sophistication over the years, displaying a refinement that is reflective of his modest personality. His wines have always been popular, but the three Pinot Noirs reviewed here show that his winemaking acumen has reached the equivalent heights of many of California’s most notable Pinot Noir winemakers. decided early on to showcase artists on their bottles. The two work in harmony in choosing the individual and striking art works that grace the bottles of Eric Kent wines. The art work is from deserving, but often as yet undiscovered talent. Each artist brings a unique vision that compliments the spirit behind the wines. For the story behind the art work, visit the Art Tour on the website at www.erickentwines.com/gallery/tour.jsp? catid=233. 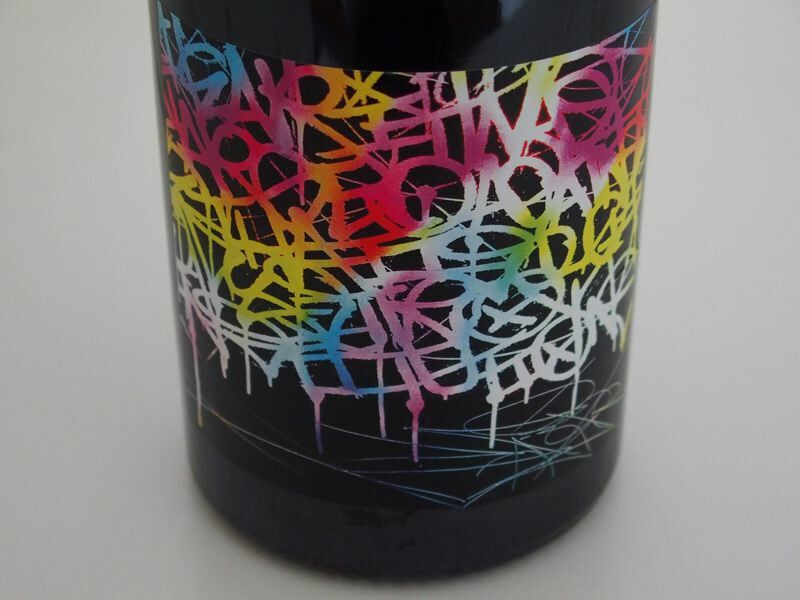 Both the label art work and the wines in the bottle inevitably lead to discussion. Labels of three wines reviewed here presented above. For the story on making wine at Eric Kent, visit the Wine Tour on the website at www.erickentwines.com/gallery/tour.jsp?catid=232. Kent crafts his wines at a custom crush facility in Santa Rosa. Assistant winemaker Hanna Chort has had a hand in every Eric Kent wine since the 2011 vintage. Eric Kent Wines are sold almost exclusively through the winery’s mailing list, with very limited retail distribution. The wines reviewed here are from the 2017 spring release. 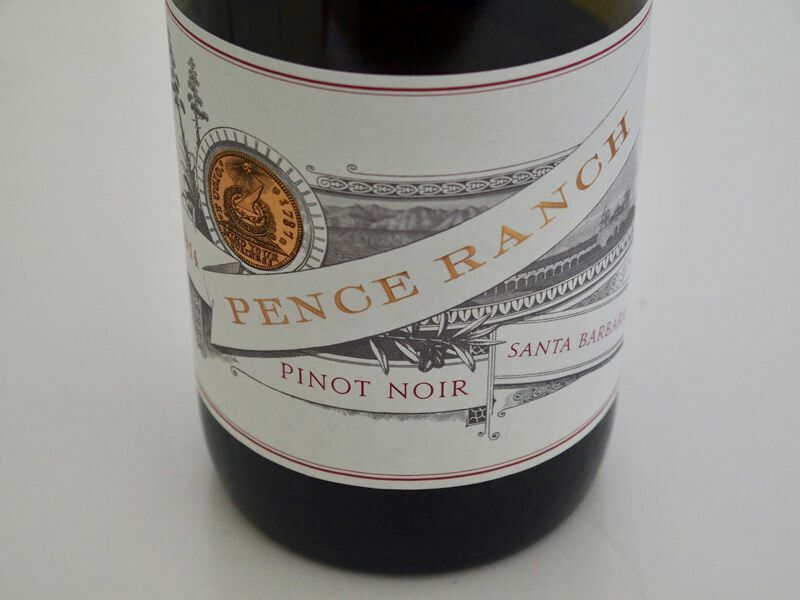 Wines from a sustainably farmed 8.5-acre Pinot Noir vineyard in Carneros owned by vintner partners Mike and Nancy Scribner and Ken and Debbie Venner. The Eight Street Vineyard is planted to a field blend of Dijon 667 and 115. The winemaker is Kenneth Juhasz. The Pinot Noirs are typically aged for 18 months in barrel and an additional year before release. The wines are available on the website at www.attunewines.com. Led by Katie Jackson and Julia Jackson of the Jackson Family, Cambria Winery has launched their estateinspired wine series that includes both Pinot Noir and Chardonnay. 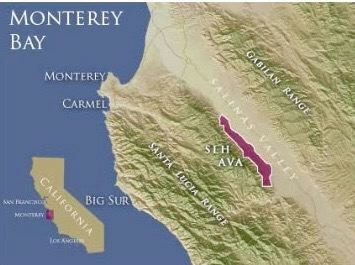 This series of wines focuses specifically on different micro sites throughout Cambria’s Katherine’s and Julia’s vineyards in the Santa Maria Valley of Santa Barbara County. A new winemaker has been announced at Cambria this month. It was noted in a previous PinotFile that Jill DelaRiva Russell has been hired to work alongside former Cambria winemaker and general manager, Denise Shurtleff. The wines are available exclusively from Cambria’s website at www.cambriawines.com/wine. All wines are grown, produced and bottled by Cambria Winery in Santa Maria. Fourth generation Hungarian winemaker Csaba Szakal left the computer programming field in 1996 to pursue a career in winemaking. 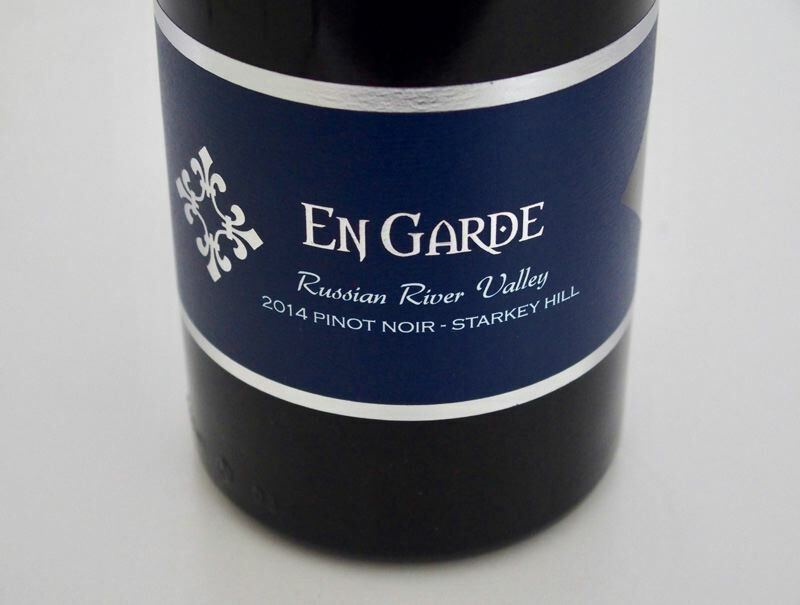 He started En Garde Winery in 2007, producing multiple varietals including an appellation blend and vineyard-designated Pinot Noirs from the Russian River Valley. I have reviewed the wines since the 2011 vintage and the latest 2014 releases are stellar. In 2014, Csaba used less new oak to let the fruit shine through and he achieved that goal. All the wines were bottled unfined and unfiltered. The winery’s tasting room is located on Sonoma Highway in Kenwood and is open daily. This beautiful winery and hospitality center is located on Westside Road. The winery is owned by the Amador family who have been in Sonoma County for decades. The winery is named after Gracianna Lasaga, the family’s French Basque great-great-grandmother. 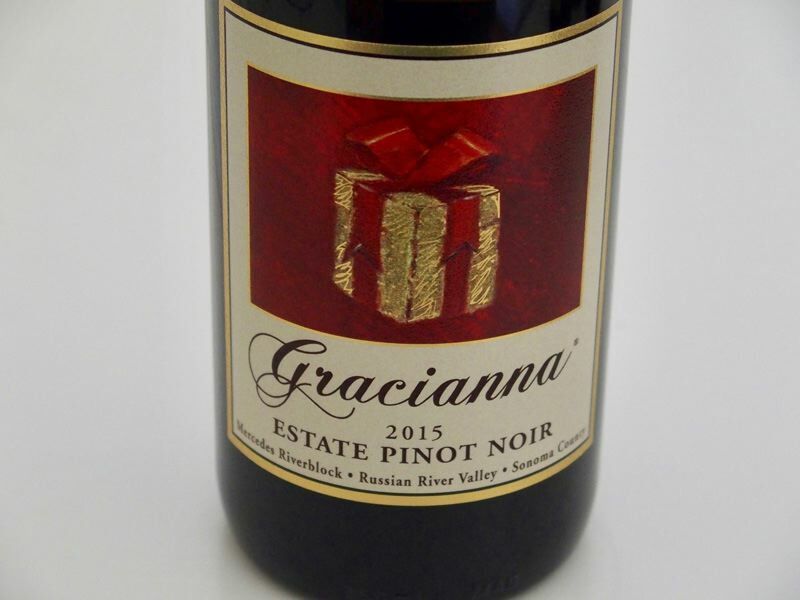 2017 marks the tenth year in business and to mark this occasion, a special Westside Reserve Pinot Noir has been released for which sales will fund the $10,000 Gracianna Gratitude Grant for Bay Area non-profits serving women and children. The Estate Vineyard, Mercedes Riverblock, is located in the Middle Reach of the Russian River Valley and is planted to Dijon clone 115. The vineyard is named after Lida Amador’s grandmother on her father’s side, Mercedes Siordia Amador. The winery’s tasting room, located between Rochioli and Williams Selyem on Westside Road is open daily from April 1-November 30 (5-star Trip Advisor rating). Wines may be purchased on the website at www.gracianna.com. I have tasted the Gracianna Pinot Noirs going back to 2009. There was a rough patch with the 2012-2014 vintages and I did not review the wines favorably. The wines were ultra ripe with very high ABV leading to a roasted flavor set off by significant tannins and some VA in a couple of wines. The wines reviewed here are back on track showing considerably more refinement, with better balance and charm, and positively recommendable. Winemaking is a family affair. Lynn and John Peterson, Jr. started this small family label with the 2011 vintage. In 2010, the couple had purchased the 8.8-acre Peterson Vineyard in the Santa Lucia Highlands planted to Pinot Noir and added another 1.1 acres of Chardonnay. The vineyard has 5 clones of Pinot Noir: “828,” 667, 777, 115 and Pommard. All wines are estate grown. The winemaker is veteran Ed Kurtzman. A second estate vineyard is being developed beginning in 2014 in the Santa Lucia Highlands. The property is at a higher elevation of 1100-1300 feet and consists of 24.7 more acres of Pinot Noir, 5.6 more acres of Chardonnay and a small amount of Syrah and Viognier. The first small production from this vineyard was realized in 2016. The wines are allocated through a mailing list at www.mansfield-dunne.com. Founder Rolando Herrera was recently featured in the Los Angeles Times, July 16, 2017. This winery produces 8,000 to 10,000 cases of Pinot Noir, Syrah, Cabernet Sauvignon, Malbec, Petit Verdot, a red blend, and Chardonnay. Employing 16 workers, the winery farms 40 acres of vineyards.The winery’s name, Mi Sueño, means “My Dream” in Spanish. Herrera’s story is fascinating. He was working a summer job in high school at Warren Winiariski’s house in the Napa Valley. Winiarski was the founder of Stag’s Leap Wine Cellars and offered Herrera a job during harvest. Herrera was quickly entranced with winery work, and stayed at Stag’s Leap while he finished Napa Valley Junior College and took viticulture courses from University of California at Davis. Winiariski eventually promoted him to cellar master. He eventually moved on to Chateau Potelle for three years where he made his first wine in 1997. He became a winemaker at Vine Cliff Winery where he started his own tiny label, Mi Sueño, on the side. 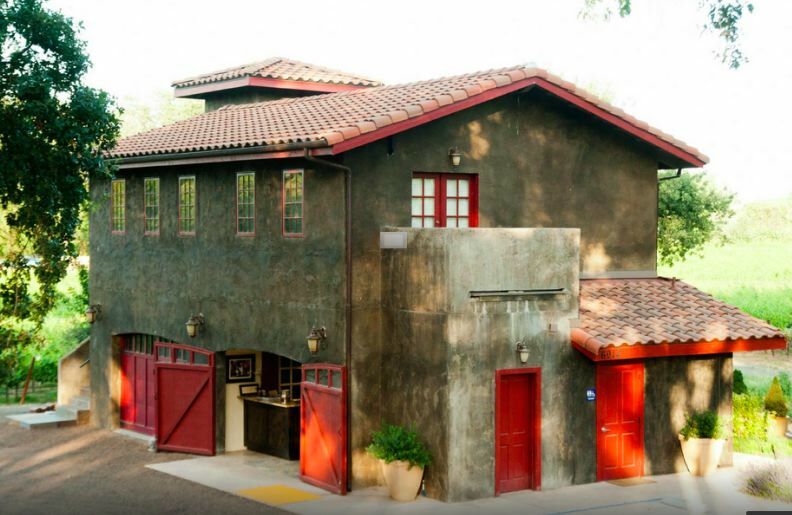 Eventually, he was able to acquire a warehouse home in downtown Napa for his winemaking. Herrera sources from from estate vineyards farmed exclusively by Herrera Vineyard Management Company for Mi Sueño from multiple appellations in Napa and Sonoma counties. 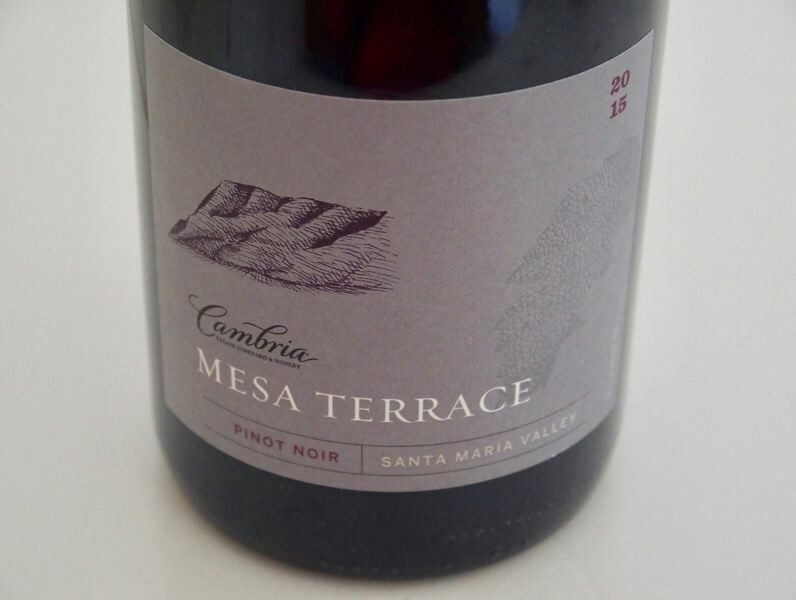 Pinot Noir is sourced from Castiglioni Vineyard in the Russian River Valley and Tierra Blanca Vineyard in Los Carneros. The wines may be purchased on the website at www.misuenowinery.com. Tours and tastings are available by appointment daily. Herrera also produces high-end varietals, including Chardonnay and Pinot Noir under the Herrera label and sold to Herrera Wine Club members only. This winery traces its heritage in winemaking back to the early 1900s with the arrival of Nello and Gino Pellegrini in New York City from their native Tuscany. After settling on the West Coast, they became Sonoma Country grape merchants in 1925 shipping grapes throughout the United States for home winemaking. After the repeal of Prohibition in 1933, the brothers established the original Pellegrini Wine Company and began producing wines from Sonoma County for many of San Francisco’s finest shops and restaurants. This heritage now continues today at the winery located at the Olivet Lane Estate that reopened in 2013 after Robert and his mother Aida Pellegrini purchased the winery and vineyard in total from other family members. The Olivet Lane Vineyard dates to 1973, when the Pellegrini family purchased a 70-acre plum and apple orchard on West Olivet Road in Santa Rosa that became the historic Olivet Lane Vineyard and home to today’s modern Pellegrini Wine Company. In 1975, Robert Pellegrini and his father Vincent planted the property to Pinot Noir and Chardonnay using the Martini and Wente clones respectively. 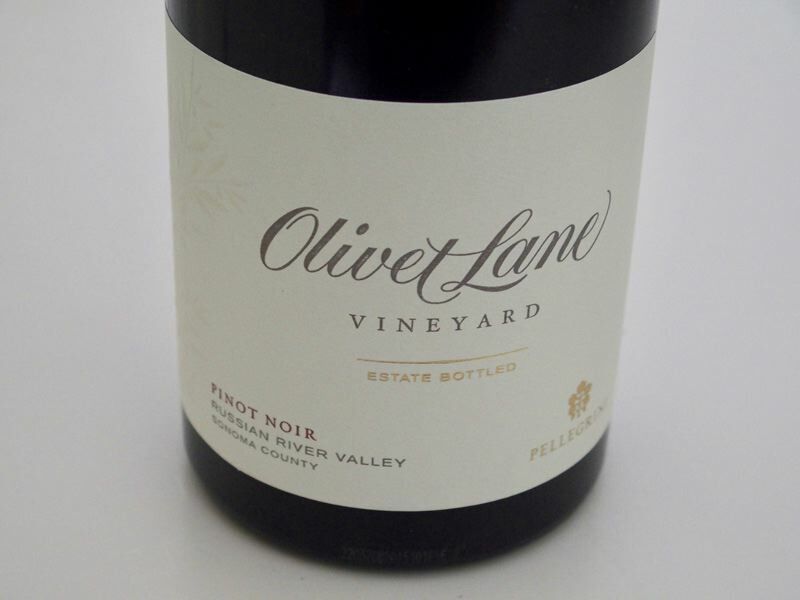 This established Olivet Lane Vineyard as one of the first pioneers to grow Pinot Noir in the Russian River Valley. Winemaker Lynn Krausmann, who has been at Pellegrini Wine Company since its rebirth in 2013, produces wines under the Pellegrini Wine Company and Olivet Lane Vineyard labels with an emphasis on vineyard designated Pinot Noir and Chardonnay from estate grown grapes. Her career spans nearly three decades, including experience as winemaker at Esterlina Vineyard and Williams Selyem. Pellegrini Wine Company was honored to be one of the featured wineries at this year’s International Pinot Noir Celebration. The tasting room is open daily under the direction of Alexia Pellegrini, Robert’s daughter and Chief Operating Officer. Visit the website at www.pellegrinisonoma.com. Refer to a recent article on this winery in the PinotFile: www.princeofpinot.com/article/1933/. It is always interesting to taste single Pinot Noir clone wines. It is challenging to find a unifying thread in wines made from the same clone from different sites since site always trumps clone. The single clone wines are primarily offered in the tasting room and to wine club members and although I don’t have retail prices, the wines represent good value. 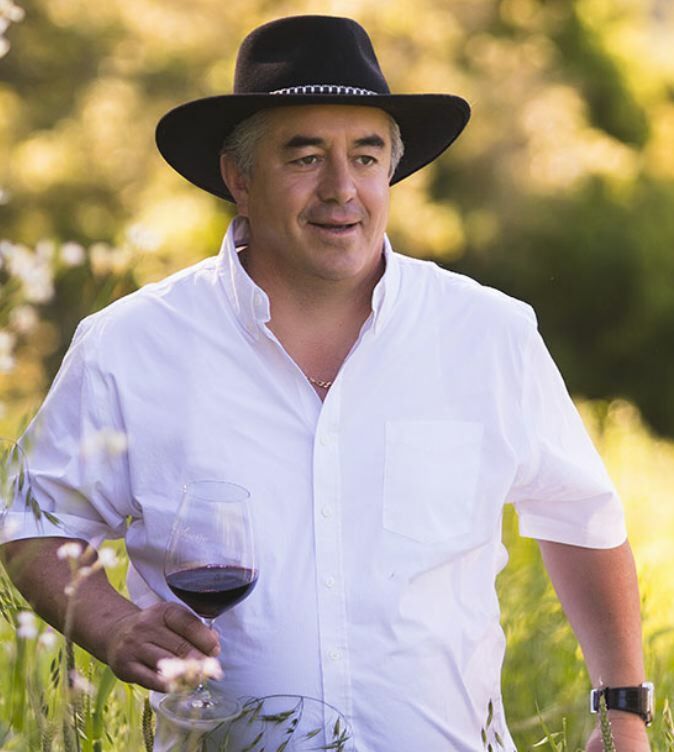 Sean Minor is a veteran of the wine industry for over 25 years who founded Sean Minor Wines and Four Bears Winery in 2005. 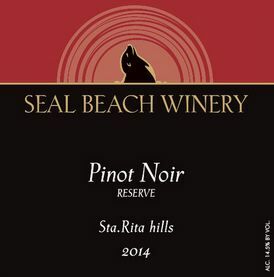 Pinot Noir is offered under the Sean Minor, Four Bears and Point North labels. The wines, many of which are value priced, are widely distributed and available on the website at www.seanminorwines.com. Winemaker Adam Lee manages to craft multiple appellation and vineyard-designated Pinot Noirs from Sonoma County, Santa Lucia Highlands, and the Sta. Rita Hills. His expanded number of Oregon bottlings state on the label that they are “Cellared & Bottled by Siduri Wines, Santa Rosa, CA,” meaning the wines were vinified in Oregon, presumably at a Kendall-Jackson facility with Adam’s oversight. The one exception is the Zena Crown Vineyard bottling that has a label that states, “Produced and Bottled by Siduri Wines, Dundee, OR). The wines are never fined and only occasionally filtered. The appellation wines are consistently solid and represent very good value. All wines are closed under screwcap. 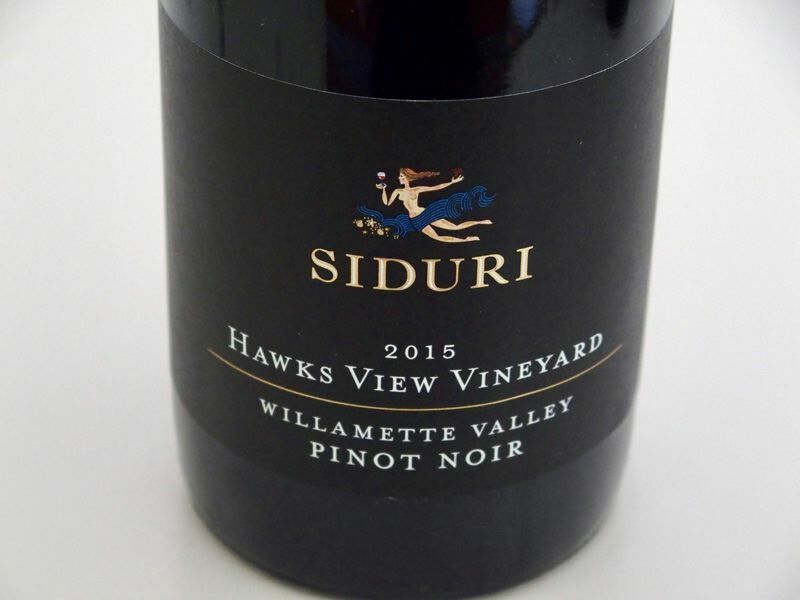 Tasting is available daily at the Siduri Wine Lounge in Healdsburg or by appointment at the Siduri Warehouse Winery in Santa Rosa Thursday-Monday. The wines may be purchased on the website at www.siduri.com. Wine Club members receive significant discounts. The Annadel Gap Vineyard that serves as the core of Westwood Estate Wines has been certified Biodynamic™ by the Demeter Association following an extensive revitalization of the site led by consultant Phillipe Coderey, winemaker Ben Cane and proprietor Carl Stanton. First planted in the northernmost Sonoma Valley in three stages between 2001 and 2009, the 22 planted acres consist of nine clones of Pinot Noir, four clones of Syrah, and micro blocks of Counoise, Mourvèdre, Grenache, Tannat, Roussane and Viognier. The wines are produced and bottled by Westwood Wine company in Sonoma. The website is www.westwoodwine.com.